Christian Yelich will need to make room in his trophy case. A lot more room. 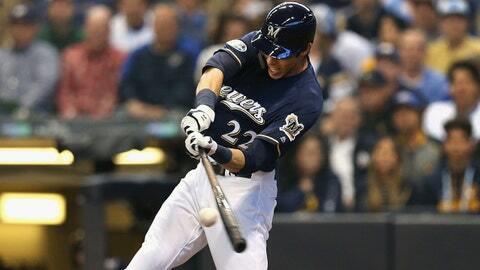 Major League Baseball announced Thursday the Brewers star outfielder was awarded a Silver Slugger for the second time in his career, one week before he’s expected to be named National League MVP. Yelich had an incredible season at the plate in 2018, finishing just two homers and one RBI shy of the triple crown. He led the National League in average (.326), slugging (.598), OPS (1.000) and total bases (343). Yelich also took home a Silver Slugger in 2016 when he hit .298/.376/.483 while playing outfield for the Miami Marlins. Javier Baez, considered Yelich’s closest competition for the NL MVP award, won a Silver Slugger at second base.